If you were a fan of Amazon Studios’ new take on The Tick, there’s some good news for you this week as the studio has officially ordered a season two of the series. Creator Ben Edlund and cast members Peter Serafinowicz and Griffin Newman will all return for the new season. Production will begin sometime this year, and season two will arrive in 2019. A new trailer for Amazon’s upcoming series The Tick has arrived. The show is based on the comic of the same name by Ben Edlund, who is heavily involved both as a writer and executive producer. Starring as The Tick this time around is Peter Serafinowicz (Shaun of the Dead, Guardians of the Galaxy). The character was previously played in a 2001 TV series adaptation by Patrick Warburton. Joining Serafinowicz on the cast is Griffin Newman, Valorie Curry, Jackie Earle Haley, Yara Martinez, Brendan Hines, Scott Speiser, and Michael Cerveris. Click on over to the other side to read more about the new series and to check out the trailer. With 2014’s John Wick, co-directors Chad Stahelski and David Leitch delivered a stylish neo-noir action thriller with hyper-kinetic fight choreography and sophisticated “gun fu” a-la John Woo’s The Killer. 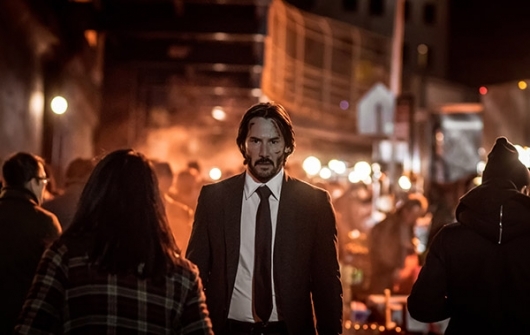 In the follow-up, John Wick: Chapter 2, Stahelski and returning screenwriter Derek Kolstad attempt to delve deeper into Wick’s internal struggle and expand the franchise’s mythology. After unleashing hell on the Russian mobsters who killed his dog, retired hitman John Wick (Keanu Reeves)’s plans to resume a quiet civilian life are cut short when Italian gangster Santino D’Antonio (Riccardo Scamarcio) shows up on his doorstep with a gold “marker” compelling him to repay past favors. 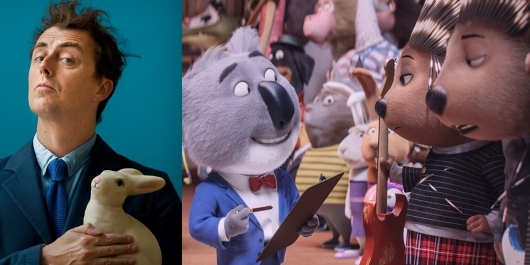 In Illumination’s latest film, Sing, Buster Moon (Matthew McConaughey) is holding a singing competition in his dying theater in a last ditch effort to scrounge up the money needed before the bank can repossess his beloved property. The optimistic koala settles on five contestants: a mouse (Seth MacFarlane), a timid elephant (Tori Kelly), a pig (Reese Witherspoon), a gorilla (Taron Egerton), and a punk-rock porcupine (Scarlett Johansson), in hopes that they can generate the funds necessary to keep the theater afloat but also bring back interest in genuine talent. Little does he know that the road to success isn’t easy, but with a little hard work and some faith, it can be done. We had a phone interview with the film’s director Garth Jennings (A Hitchhiker’s Guide to the Galaxy, Son of Rambow) to talk about what it was like to get clearance for the songs, working on his first animated film, his reaction to all the positive buzz, and much more. Check it out below. 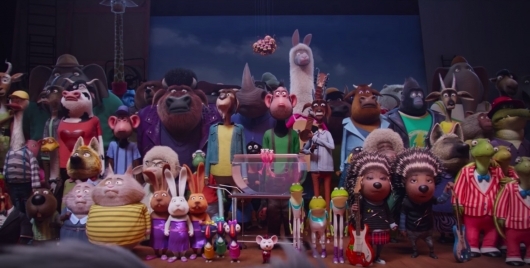 Universal has released the final trailer for Illumination Entertainment’s Sing. From the writer/director Garth Jennings (Son of Rambow, The Hitchhiker’s Guide to the Galaxy) and Illumination founder and CEO Chris Meledandri, the film is the sixth animation feature from the studio and features the voice talents of Academy Award winners Matthew McConaughey and Reese Witherspoon, alongside Seth MacFarlane, Scarlett Johansson, John C. Reilly, Taron Egerton, and Grammy Award-nominated Tori Kelly. Check out the new trailer below. We got our first look last month at Peter Serafinowicz in The Tick, the upcoming live-action series from Amazon Studios and Sony Pictures Television. Now, Amazon has released new images from the new superhero comedy. Check out the new images in the image gallery here below. 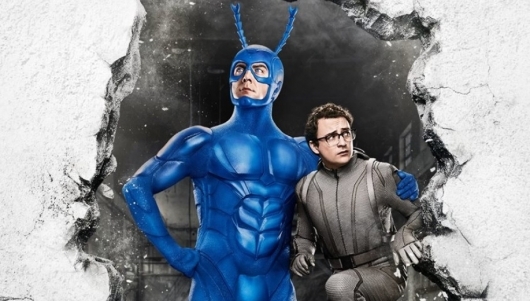 In March, it was announced that Amazon Studios and Sony Pictures Television were developing a pilot for a live-action series based on Ben Edlund‘s superhero spoof comic book The Tick, with Edlund scripting and serving as an executive producer and British comedic genius Peter Serafinowicz (Shaun of the Dead, Guardians of the Galaxy) cast in the title role. The pilot was directed by Wally Pfister, the cinematographer on all three of Christopher Nolan’s Batman movies, Inception, and Moneyball. Recently Amazon released both the premiere date for the pilot and a small set of images, including our first look at Serafinowicz is full Tick attire. You can check out the pictures here below. 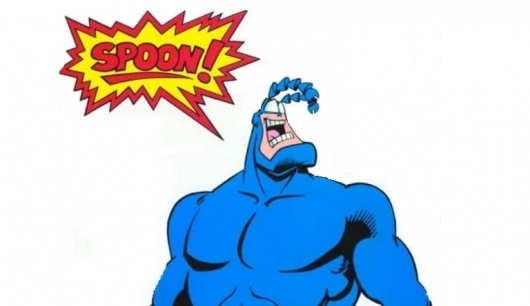 Back in 2001 a live-action TV series based on Ben Edlund‘s comic The Tick was made with Seinfeld, Family Guy, and The Emperor’s New Groove star Patrick Warburton playing the title role. The show aired on Fox and, as shows tend to do there, only lasted nine episodes (related note #1: Edlund also worked on that other show you think of when you think of Fox shows that were canceled too early, Firefly, writing the episodes “Trash” and “Jaynestown” and also producing). But even with its short run, the show has developed a cult following. 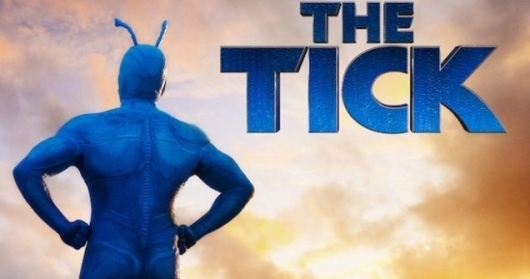 While that show isn’t coming back to life, Amazon has ordered a pilot episode for a potential brand new series based on Edlund’s Tick character. Nothing is official yet as far as getting a full series order, but an actor has been chosen to take over the role from Warburton. It’s being reported that comedian, actor, writer, and all-around talented gentleman Peter Serafinowicz will take on the title role for the pilot. 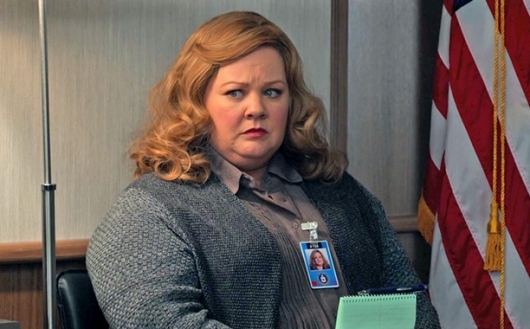 Melissa McCarthy is incredibly funny, and she is the crown jewel of every Paul Feig film she stars in. Following the success of Bridesmaids and Heat comes Spy, an action-comedy spy film that sees the comedian go from CIA desk analyst to a full-fledged highly untrained spy. We have already seen one trailer for the film, and now Fox has released the second one. McCarthy play the unknown spy who will be trained by Jude Law, a clean cut suave spy; and Jason Statham, a dark and brooding spy who does whatever it takes to get the job done. Rose Byrne will play the international criminal who knows the identity of every spy in the CIA. Hit the jump to check out the new trailer. While we wait to find out if Melissa McCarthy will sign on for Paul Feig‘s Ghostbusters film, let’s take a look at the duo’s third and newest collaboration, Spy. In this action-comedy, the Mike & Molly star plays Susan Cooper, a veteran CIA analyst who wants off the desk and out into the field for some action. After two top agents (played by Jude Law and Jason Statham) are compromised, Susan gets her wish and goes deep undercover to infiltrate the world of a deadly arms dealer and prevent a global catastrophe.